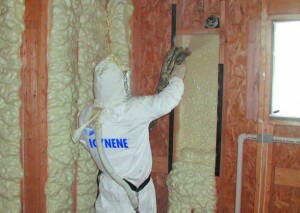 Not all insulation companies are made equal, and that goes for both manufacturers and installers. If you want to make sure you’re getting the most out of the insulation in your Jacksonville, Florida, home, turn to 31-W Insulation for top-rate materials and workmanship that’s second to none. We’ve been serving the southeastern U.S. since 1972, so you can trust us to apply our decades’ worth of experience to making sure your insulation is installed efficiently and properly, without cutting any corners. Additionally, unlike many other insulation companies, we always use our own trusted employees, never subcontractors, on every project. That’s because, as a family-owned and -operated company, we want to make sure that our installation team treats you with the same respect and courtesy that we would expect of people working on our homes. In fact, our commitment to providing excellent workmanship and total customer satisfaction has helped us maintain an A+ rating with the Better Business Bureau. To find out more about what makes us one of the best insulation companies in the Jacksonville, Florida, area, contact 31-W Insulation today.